Out on the quiet city streets, in the predawn hours, a battle is being waged. For decades, graffiti writers, street artists, and bill-posters have contended with police and city cleanup crews. Now they have a new enemy: the obsessive and self-motivated lone vigilante. These anti-graffiti vigilantes are themselves vandals, as they typically paint over graffiti without the property owner’s permission, often doing more physical damage than what they are covering up. 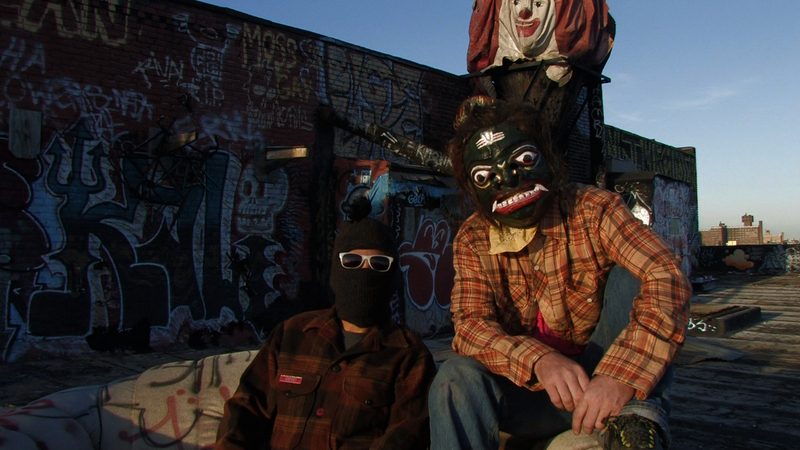 Vigilante Vigilante starts with the partisan filmmakers’ attempts to unmask and stop the “Silver Buff,” a prolific anti-graffiti vigilante. Then, through interviews with psychiatrists, urban theorists, and especially the colorful and sometimes violent anti-graffiti vigilantes, it examines why people are motivated to do or undo graffiti, how it relates to the wider culture, and why it’s such a divisive issue. Ultimately, the film is about tolerance and creating a conversation with one’s opponents. The story and methods may be brash, but the arguments are rooted in reason and debate. The film is a unique appeal to reconsider some of our assumptions and recognize the importance of free public expression and the communicative use of public space.